Akron is a town on the territory of Ohio. It is located within the Summit County. Akron's population is over one hundred ninety-nine thousand people. Akron is located near Lake Erie and borders Cuyahoga Falls and Barberton. The town is situated on the territory of one hundred sixty-one square kilometres. City of Akron was founded by Paul Williams and General Simon Perkins in 1825 as a strategic point near the channel Erie. In 1833 was created North Akron, and in 1836 South Akron joined it. Akron replaced Cuyahoga Falls, which was by then the county seat. This happened in 1837, and at the same time was an opened a channel that connected the city with Beaver, Pennsylvania. That helped a lot for the city of Akron’s expansion as a trading center. In the seventies of the nineteenth century in the city were built many churches - Presbyterian, Baptist and Congregational. The name of the city was chosen from a Greek word which means a high point. In 1825 in the southern part of town houses were built for a hundred workers who worked on the construction of the Ohio canal. 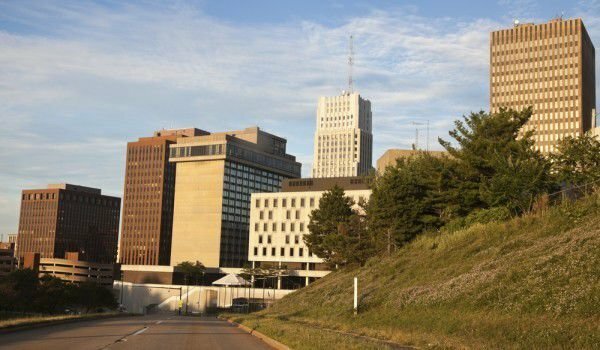 In the early twentieth century, Akron was recognized as the fastest growing city in the country. Then the city's population grew at a breakneck speed of over two hundred percent. The city became known as the rubber capital of the world. Residents of the city of Akron call themselves Akrans. Among the nicknames of the city is City of inventions. Because at the same time in the city sprouted four large manufacturers of tires, the city got the nickname City of tires. In 1811 Paul Williams settled in the place where today is located the corner of Buchtel and Broadway. Buchtel is named after John Buchtel. In 1870 Buchtel College was built, which he founded. In 1913 his name was replaced by the University of Akron. In 1865 the town of Akron received official city status. A local journalist made a real revolution in toys by a toy company founded in Akron. A year later appeared on the market the first marbles made of clay. There were rubber balloons, ducklings and bath balls. In the city there were many jobs for people with impaired hearing. This gave the city a new nickname - the intersection of the deaf. In 1913 severe flooding in Akron claimed the lives of five people. The flood completely destroyed the Erie channel and Ohio channel. At that time one third of the inhabitants were immigrants. In 1925 began the production of zeppelins used during World War II. They are also used for advertising purposes. The city is famous because in 1930 here was arrested the famous bank robber Charles Arthur "Pretty Boy". In 1936 over five thousand workers from the tire factory went on strike. This was a sit-down, which had a very large effect. The city continues to do research related to polymers. In the city are located ninety-four companies for the production of polymers and around the city are still three hundred and six companies. At the University of Akron is located on the National Center for Innovation in the field of polymers, and the first College of polymer science.